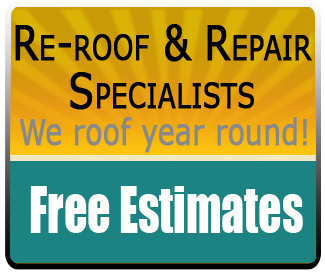 Redmond Roofing installs time tested materials. Asphalt composition roofing has been around since the late 1800’s. It is continually being improved and enhanced. Asphalt composition is the most popular, low maintenance, and economical roofing in the U.S. It is offered in a vast array of colors and styles with manufacturer warranties ranging from 20 years to LIFETIME. We encourage you to visit a roofing supplier showroom where you can see the many choices. The natural beauty and weather resistance of cedar, keeps shakes one of the favorite choices of the Pacific Northwest. We offer outstanding Cedar Shakes to our customers. Our premium #1 shake comes from Canada. Our Bellingham agent selects the best batches for us and brings them down one roof at a time. These shakes are chemically treated to resist rot, fungus, moss, insect infestation and come with a 30/50 year warranty. This commercial grade membrane is perfect on mild pitch or flat surfaces and built-in gutter systems. If far exceeds the more common torch-down membrane in quality and life expectancy. For more information click here. Concrete tile, clay tile, slate and metal are four products that have a long proven track record. We do not install these products but believe they are good. New products hit the roofing market every year. Most of them fail; therefore we believe you should be careful when considering new roof products with a short track record, unless you are willing to be part of their R&D.